Somehow we’re halfway through the year…(HOW?) 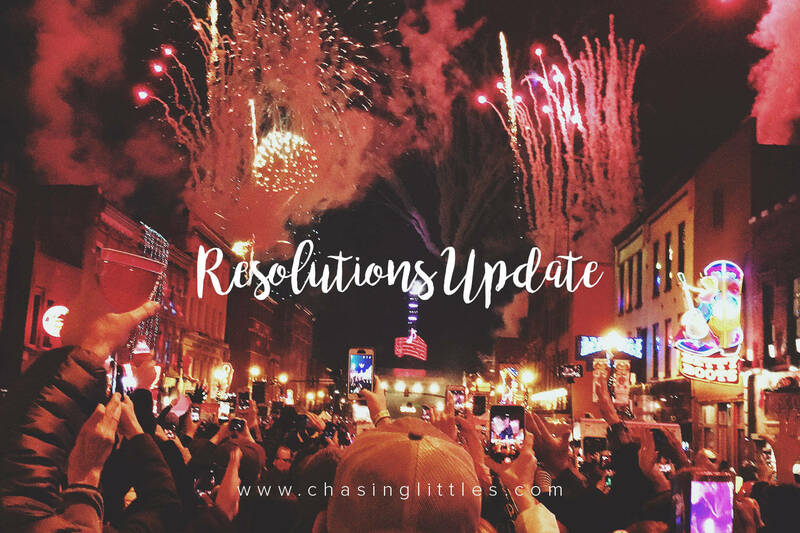 I wanted to check in with myself and with all of you (because accountability rocks) on how I’m doing with my new year resolutions. I will workout 182 days out of the 365 days of the year. Last week I hit a huge goal which I am super proud of. I hit 100 days of working out. Originally I had this idea that I would do the first 100 out of the 182 in a row. Then life happened. There was a long necessary three week break in there from injuring my back and fracturing a bone in my neck (ouch!) so although I was very frustrated (believe me, I was not a happy camper) with the situation, I allowed my body to heal with the help of wonderful practitioners and some light yoga. Then got right to it with my daily workouts all the way to last week when workout number 100 was crossed off the list. It was a wonderful feeling, and it’s hard to describe. 100 of anything is a lot of something, and the fact that I didn’t give up, that I continued on is such an exciting and motivational accomplishment as I race to get those last 82 in there. I will say that the mental battle I went through during the injury was a rough one. I felt like I had failed, that by taking a break I was being lazy, and that every day I didn’t work out I was getting further away from my goal. Talk about negativity levels through the roof! It took some time but with the help of my ever loving and incredible husband I started to understand that no, I wasn’t being lazy, and yes my back did hurt and my bone was fractured, and resting is what I needed to focus on. I was able to feel proud for the 50 some workouts I had completed up to that point and resting my back was not going to take that away from me. Getting the last few workouts in last week was pretty hard from a motivation standpoint. I don’t know if it’s because I felt like I was basically already there or if it was my mood just being a little low for some time prior but it’s now done! Regardless, I just have 82 workout days left before I can officially check off this goal! Here we go! If there is one takeaway I got from this journey it is to learn to celebrate the small victories. Rejoice after every 5 or every 10 and celebrate your determination. Be kind and gentle to yourself through this journey and if you decide to give a 100 workout challenge a try, do send me a quick message! I’d love to cheer you on on your very own journey! We will pay off all of our debt, excluding our home. This is a pretty exciting resolution for me. We’ve been using the every dollar app for a while now and it’s truly been a lifesaver when it comes to reaching $$ goals. Living a debt free life originally seemed like a crazy idea. How can anyone live without a credit card? How does a family not have a car payment? What do you mean you’re going to buy a car with cash, I thought the options were finance or lease? A mind shift has happened in our home and both Christian and I are so excited to be so aggressively shooting for this goal. It’s odd, when you start drifting away from what the norm is and you start creating your unique way of going about life. We know not everyone will agree or understand, but then again, we’re happy with our decision, so nothing else matters. Finances are a taboo subject, so I’m staying pretty vague, but with a plan in action, a goal, a deadline and a whole lot of drive, anything is possible. I will eat 80% clean and reduce my dairy intake. I can say this has so far been very consistent. I have been eating a very healthy diet this entire year and it has helped to have the workout challenge at the same time. You need lots of good food to have the energy to sweat every day! I’ve also enjoyed cakes and ice cream, pizza, and veggie burgers with fries etc to fill up that 20% They really taste better when they’re eaten less often! As for dairy, I have lowered the amount of cheese and yogurt I eat and aside from those two items, there weren’t many other things in my daily diet that had dairy. This has been surprisingly natural and since I’m not looking to eliminate dairy it has gone over well to just reduce it. I will continue to grow in this beautiful marriage my husband and I have forged for ourselves. Throughout this year, Christian and I have continued to live every day however we choose to. We’ve planned for so many exciting things in the future and have really taken to enjoying where we are today. For someone like me who lives attached to goals and improving in all these different areas, it can sometimes be easy to forget how wonderful life is today, this very moment. Thankfully my counterpart works very much the other way. Christian is all about enjoying today, being silly and funny and keeping life light. He’s the “things will work out,” to my “what are the steps we are taking to get to this goal,” and do I love him for it. He keeps me young and happy and honestly, I’m the luckiest girl in the world. We have some huge plans for this year, some trips planned, some days for us to get away just the two of us, and sometimes that’s just with frozen pizza binge watching Netflix. Can’t wait to see what else we get up to this year that isn’t planned because I’ve grown to expect the unexpected and I know together we can tackle anything. It’s now JUNE which is the month of our anniversary. June is my love month. We were flirty high schoolers in June, we started dating in June, we got married in June… It’s just our month and I’m looking forward to thinking back on our journey through all these past Junes. We will travel to someplace warm. In February, Christian and I had a most magical trip down to Texas, New Orleans, and many warmer places like Belize, Mexico, and Honduras. We’ve never traveled with other people but this year my beautiful cousin Susy and her husband Roberto agreed to join us on this wild adventure. I am so grateful to have such a large and loving family filled with cousins and aunts and uncles sprinkled all over the globe. It’s difficult when it comes to holidays, seeing as we are all so far away. But when it comes to traveling it means you have many cozy beds to choose from. After meeting them in their home in Houston we road-tripped it (is that a word? it should be) to New Orleans where we stayed in a super cool guest house that used to be an orphanage in the 1800s. The creepiest photographs littered the walls and the amenities were… well none. No matter though we had a great time celebrating on Bourbon Street until the wee hours of the night the first day of Mardi Gras! The next morning we cruised down to these magical and beautiful locations and had an incredible time on the ship. The memories that were made will live in my heart forever and I am so grateful to have shared this trip with family.